With the smartwatch market still not doing as well as expected, manufacturers are experimenting with different takes on the basic design. The MyKronoz ZeTime, one of our top picks from Mobile World Congress, features physical hands built into a standard smartwatch. 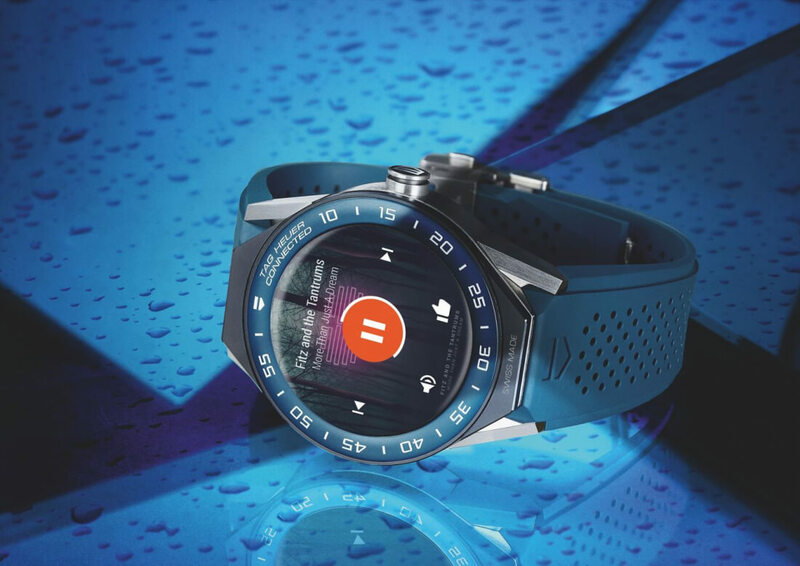 Now, Tag Heuer has unveiled a wearable that can be both digital and mechanical: the Connected Modular 45. Rumors surfaced last month that the luxury watchmaker would be releasing a follow-up to last year’s $1500 Connected device. As predicted, CEO Jean-Claude Biver announced the $1600 Android Wear 2.0 watch today, which, as the name suggests, is incredibly customizable; you can even swap out the smart module and replace it with a traditional, mechanical head – either the Calibre Heuer 02T or the Calibre 5. The Connected Modular 45 comes with GPS, NFC, and is water-resistant up to 50 meters. There are 56 variations of the watch available, with customization options that include aluminum, ceramic, rose gold, diamonds, and steel finishes for the digital face, along with various types of buckles, bracelets, and lugs. No word yet on how many of them come with the base version of the device, though. "For the choice of strap alone, there are no fewer than 18 references available, made from rubber, natural leather or anthracite gray leather, titanium or ceramic," said TAG. The Connected Modular 45’s 1.39-inch AMOLED touchscreen is powered by Intel’s AtomZ34XX processor, a chip designed for smartphones and tablets. All that processing power will come in use when Intel adds AI features to the watch later this year through some new apps. It also features Bluetooth and Wi-Fi connectivity, and 4GB of internal storage. You'l get around 30 hours’ battery life and, thanks to Android Wear 2.0, it can be used with an iPhone. Despite being an expensive luxury, high demand for the first Connected Watch forced Tag Heuer to increase production. It may be $100 more expensive, but the customization options, ability to switch between digital and mechanical faces, and the high-end hardware contained within could make the Connected Modular 45 an extremely sought after wearable.